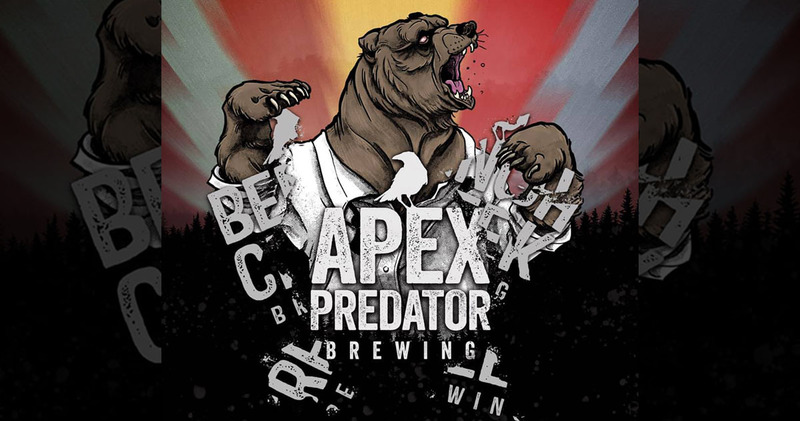 Bench Creek Brewing rebrands to Apex Predator Brewing! Follow along as we interview Andrew Kulynych, Owner/Director and find out the “whys”, the “whats”, and everything else involved in the process of rebranding a business. JustBeer interviewed Andrew Kulynych, Owner and Director of Apex Predator Brewing to ask a few questions and get the inside scoop on how a brewery changes their brand. We asked the questions everyone wants to know to find out. From Bench Creek to Apex Predator: Why Rebrand Your Company? JustBeer: We love the new brand. The cans look highly graphic, almost like a sports jersey; and that’s a design style that we personally like at JustBeer. We’re sure it’ll resonate well with Alberta beer consumers too– since we’re all hockey nuts! But rebranding seemings like a lot of work, so why would a brewery or company with an established name, like Bench Creek Brewing, do a rebrand? Andrew: Our change in name allowed us to re-visit the designs. We liked the old silhouette designs and several of the existing elements. However, we also liked our graphic t-shirt designs for our brands and the designs that came out of the Villainous Series. The name change became a logical point to tie in all the elements we love from all our branding and add some additional education pieces like “It’s Alive” for our cans. 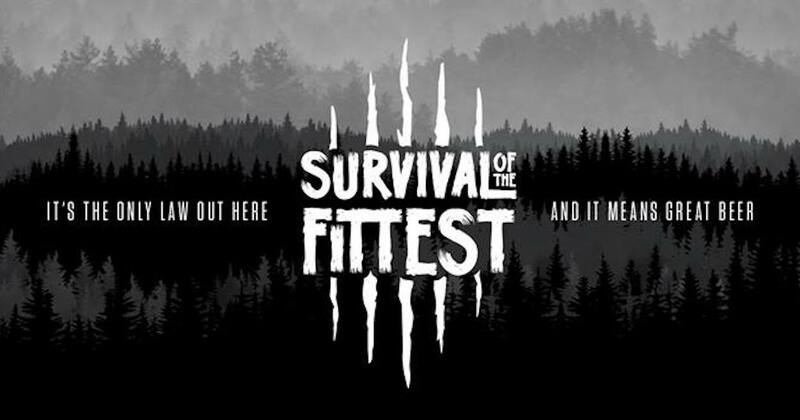 We hadn’t secured our trademark yet and in the midst of that process our application for “Apex Predator” came through. It seemed like a logical solution with a long term benefit. JustBeer: Makes sense. So, it was part aesthetics and part business practice. Nice that it worked out that way. When you were rebranding, what did you want to capture that the previous brand didn’t? Andrew: We incorporated the “It’s Alive” brand message into our cans which is our way of stating our beers are unfiltered and unpasteurized. JustBeer: Heh—love it. There are funky and bold flavours in beers that are fresh and more authentic like that. It’s great you were able to align that aspect of your product with your branding and identity. It must have been a lot of work. How do you manage the process of rebranding a Brewery? Andrew: It’s challenging but also gave us some opportunities to be creative again. We built a road map, some target dates of when we wanted things to be accomplished by and set out to make it happen. Did the rebranding process take a Long Time? Andrew: It took several months, but it definitely could have been longer. We already had a lot of the creative elements on hand which saved us some time. How did you decide on your new brand? What went in to deciding on a new brand name? Andrew: For one, we own the trademark for Apex Predator in Canada. It was the original name for our Double IPA. Aligning with this mark makes it a lot easier for us in the future. It also speaks to where we are from. Alberta is full of Apex Predators like wolves, grizzly bears, and cougars– Our brewery is smack dab in the middle of them in Yellowhead County. Andrew: Confirm. We currently distribute to Saskatchewan and a bit into Manitoba, but have our eyes on other provinces. JustBeer: Heh, well, we’re happy to see an Alberta brand doing so well. Who did the rebrand? How did you decide who would do the redesign? Andrew: Our rebranding was done completely internal; our entire team from brewers and sales reps to our graphic artist helped in some degree with the rebrand. JustBeer: Very nice. 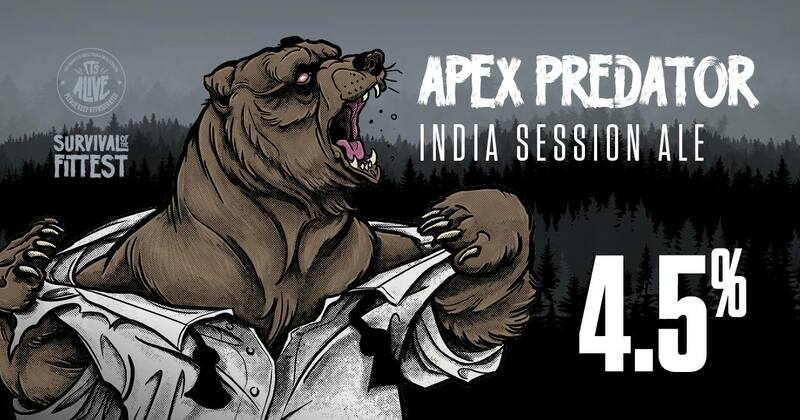 We’ll be keeping an eye out for Apex Predator Brewing graphic tees and beer swag. Did you explore any options for Local designers/ freelancers? Andrew: Not one. We had the skills within the team to execute and since we were building off a lot of existing internal work we found successful, like the Nevermore Series, there was no reason to go external. The Expenses of Rebranding – How Much Does it Cost to Rebrand a Business/Brewery? Redesigning and rebranding a business can be a substantial undertaking in terms of cost and process (because you must update everything). Can we be blunt and ask what you think it ended up costing? Andrew: I will be blunt in return– Lots… although it is relative; for us, working internally, we probably did it for way less than other companies could, but it still hit the pocket book hard. JustBeer: No doubt! It’s nice you had in-house talent to reduce the expense a bit; we’re sure it’s an expense a lot of businesses don’t consider, especially when starting out. You guys have done a great job. JustBeer: So, after you’ve gone through the effort of deciding on rebranding, making the new logo and label designs, what process did you have to go through to update the rest of the branding assets? a. What was the legal process like when rebranding? Was it difficult changing the name of your business? Andrew: We had to change our name with all our suppliers and banks, as well as our customers. That’s a lot of paperwork. b. What was the rebranding process like in terms of social media? Was it a pain to get your old brand swapped over to the new brand? Did you create new social channels? Or were you able to convert old ones so that you could keep your original fans and followers? Andrew: We updated all accounts within our control and in some cases used the fresh start approach with our social media accounts. It is a painful process; there are so many blogs and websites that are developed by people excited about craft beer, so you need to be diligent and touch on them all. JustBeer: You mean websites like JustBeer?! *heh* We appreciate you taking the time to keep our records current. Our goal is to one day have a platform that allows businesses like yours to manage your content. For now, we’re working on growing our audience and it’s great having participation and collaboration from brands like Apex Predator Brewing—so thank you. c. All Said and done with cost in mind, do you think the rebrand will be worth it? Andrew: There are costs, but with change, we became more streamlined and better positioned for the future. So, in the long term, it will save us money. But regardless of the present cost, we had some fun with it. Now that you guys have rebranded, updated your labels, your website, and your social channels, what has the feedback been from your fans and followers? Andrew: All positive! Of course, there are those who miss the old branding, but majority are all excited. We got to flex some creative muscles and I think people responded well to that, not only in print, but in Social Media. JustBeer: Phewf, right?! What’s great about your new labels is they’re identifiable as a set. Each one has it’s own look and feel, but there’s a good unity between your creative. Do you feel the rebranding has altered or elevated the quality of your brand? Andrew: We’ve always held quality as our top priority, both in our products and our brand. So, I don’t think it’s elevated us; we have the same values as we did before. We hope that they drive our merit with our consumers. Are there any pain points you were unaware of that you would recommend others consider before potentially rebranding their business? Andrew: More so when you apply the question to starting out; it’s a big, fast growing market, it is inevitable that there will be clashes. Be prepared for those times by protecting your brand. JustBeer: Good lesson to learn from. We’re talking about breweries, but really that applies to any business; it helps to invest the time to carve out your brand. Not just a name, but trademarks, logos, and all that fun stuff. Would you do it again knowing what you know now, if we jumped back to last year before the rebrand started? Andrew: Absolutely; it’s a bit of a rebirth and provided opportunities in places we couldn’t imagine. What is one piece of advice you would offer a business that is considering rebranding? Andrew: Make sure you own your brand trademark prior to any work. Also, when creating your brand trademark, think outside the box and be unique! Consider not only where your products will be sold, but the potential of where other similar named company’s products might be sold. You may not want to distribute to Texas, but that doesn’t necessarily mean someone from Texas with a similar brand, that’s been in business longer doesn’t want to distribute here. What are next steps for Apex Predator Brewing? Are you guys planning on going nation-wide? Or do you plan on staying local? In a perfect world, what does the future hold for Apex Predator Brewing? Andrew: Beyond expanding our distribution, we also have a new one off series we are working on to follow up the Villainous Series, something in tune with our brewer’s tastes in music. For the future… we are in the craft beer business, there are trends and competition to keep us on our toes, but ultimately we like to keep a narrow focus. We don’t like getting too hazy; we leave that to the beer. JustBeer: Awesome! Well, thank you again, we’re looking forward to sharing this with our audience and tagging along as you guys continue to grow. If you have any exciting news (beer releases), events or updates you’d like to share… you know where to find us! 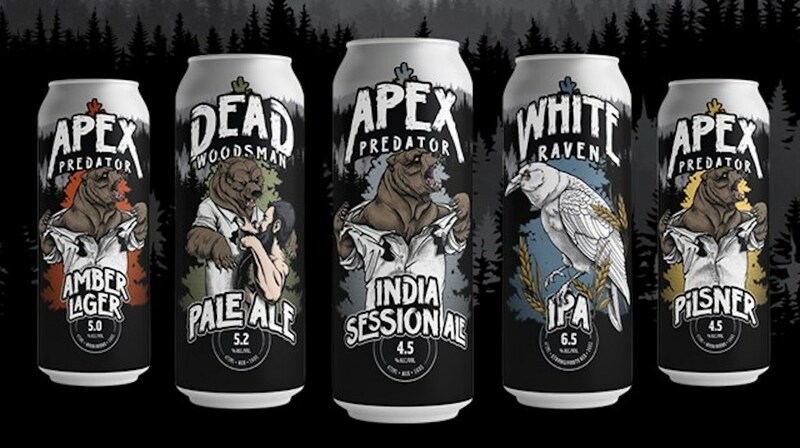 To learn more about Apex Predator Brewing, check out their new official website. We’ve been working hard to bring the world of craft beer to you; check out our latest features and updates with this video. Pope Emeritus Benedict XVI and honored guests celebrated his 90th birthday as a good Bavarian should… with beer. Everyone loves the no name brand for mainly one reason: it’s cheap! The company behind the no name brand has announced they will be launching a no name beer on Friday, February 15, 2019.